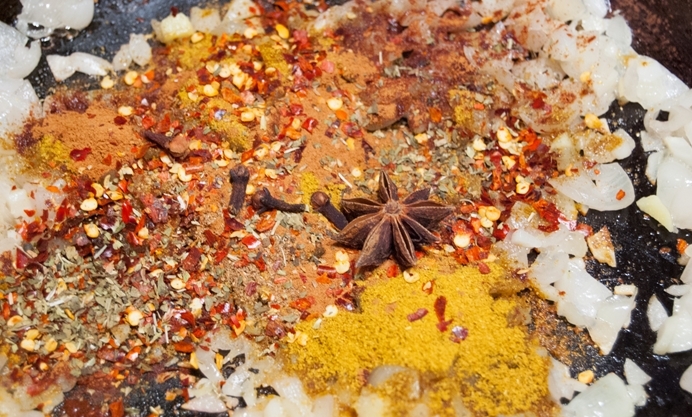 Have you ever had curry in a sandwich? It’s not quite as strange as it might seem. 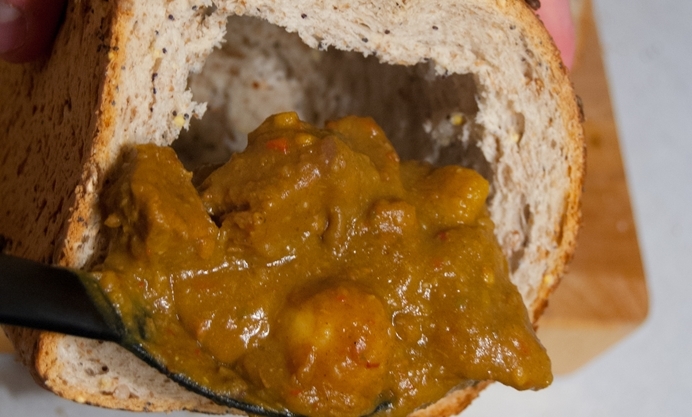 Oliver Denton shows us how to make Bunny Chow: a spicy curry served in a hollowed out loaf. My friend Dave once told me a story about how he used to regularly eat spaghetti bolognese sandwiches. His motto, he told me, was “If it’s edible and in my house, it’s going in a sandwich”. He went on to describe how many different items had found their way in between his bready curtains – including a Tesco Value lemon meringue pie (“tangy, but messy”). Coincidentally, around about the same time as I was finding out about the depths of David’s past depravities, I was told of a South African tradition that he would have approved of – the Bunny Chow. 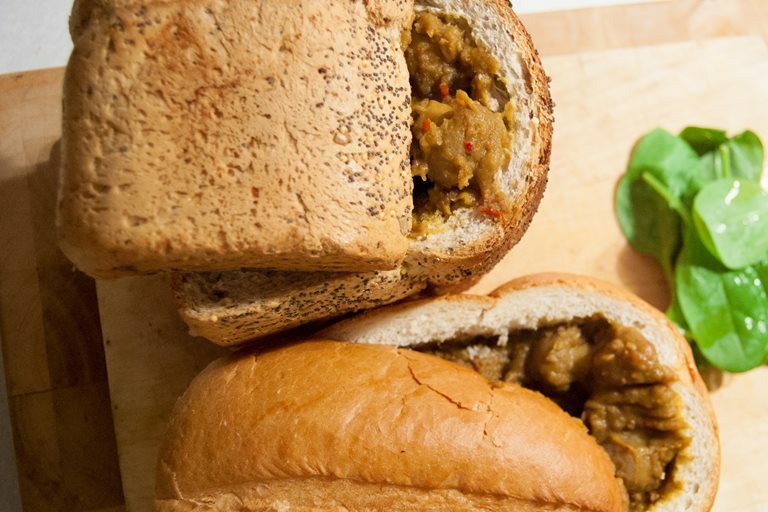 My brother-in-law, originally from Durban, told me of the mystical dish – a spicy curry served within a hollowed out loaf of bread. I had to make one. 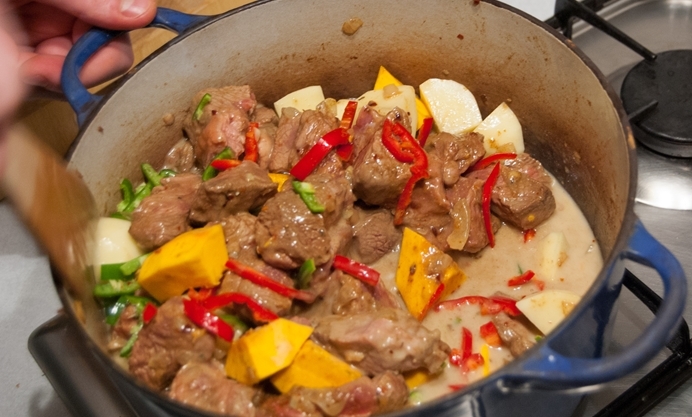 Under his expert tutelage, I managed to turn an old beef and potato curry recipe into the filling – and Morrisons provided a couple of loaves which were the perfect casing. Remember, with this recipe you can really freestyle. 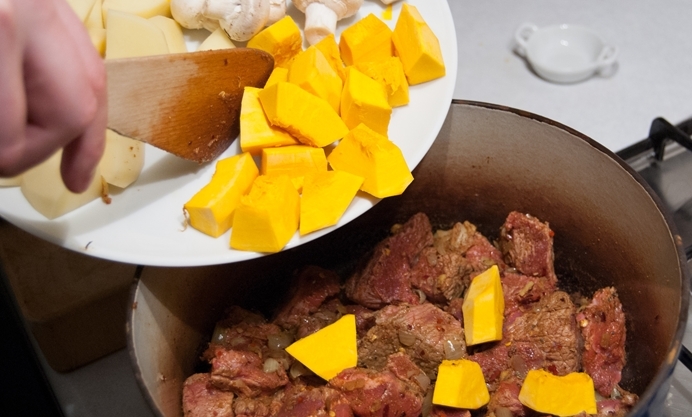 Curry cooks slowly, so you can choose different bits and bobs to throw in and increase the excitement factor. I found an onion squash to add to potatoes and button mushrooms, and I’m sure there are loads of other possibilities – use your imagination! 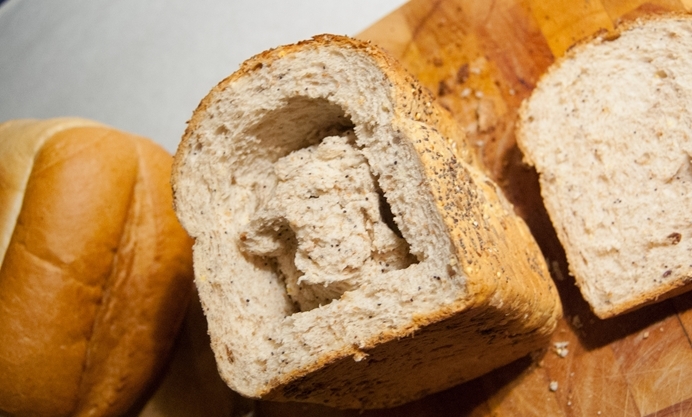 Spoon the curry directly into the hollowed out loaf, and then put the top (or lid) back on and serve immediately! Oliver cooks simple, tasty and easy-to-replicate dishes at It's not rocket salad.